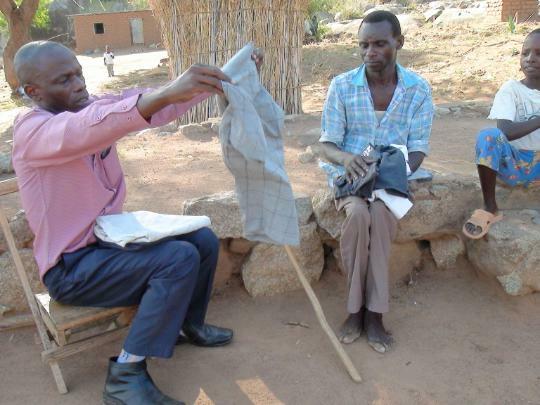 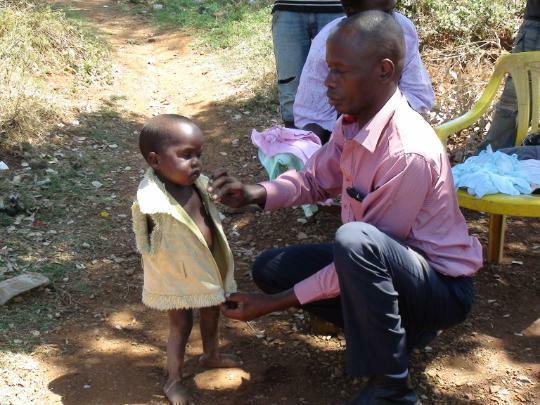 The Executive Director, Dr.Joseph Musagasa clothing Bahati Chacha(the boy child born without arms-Armless during his home visiting to the family and provides clothes to other siblings within the family. 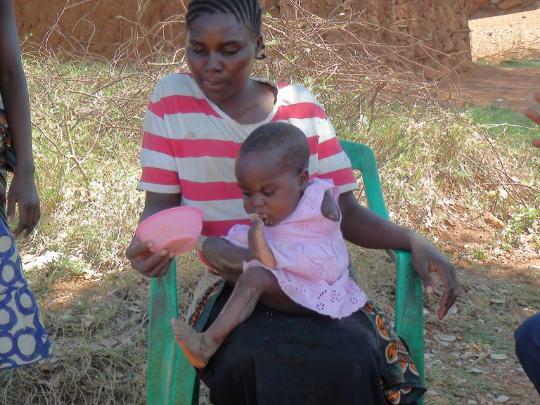 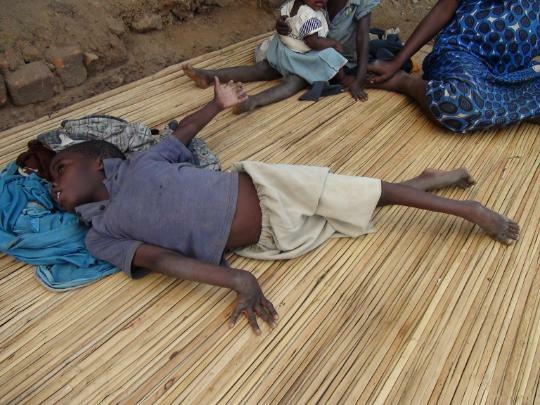 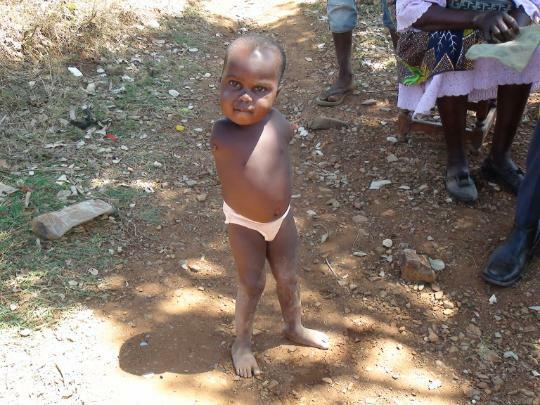 Bahati Chacha(the boy child born without arms-Armless with his mother eating potatoes using his feet. 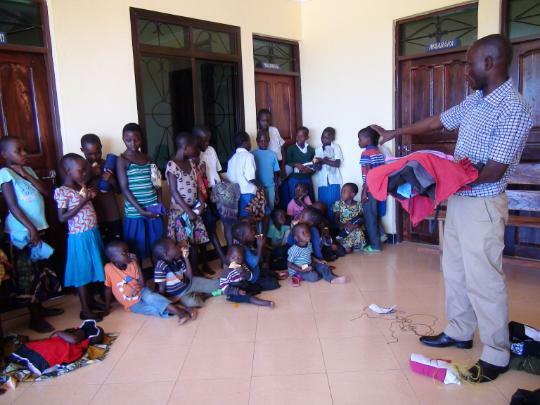 Dr. Joseph Musagasa, the TEHDSO Executive Director provides clothes to some of the beneficiaries served by the organization. 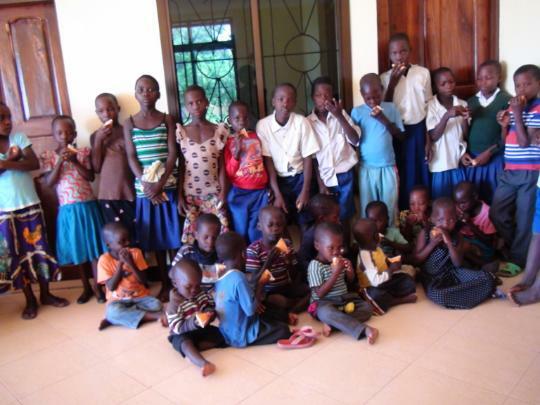 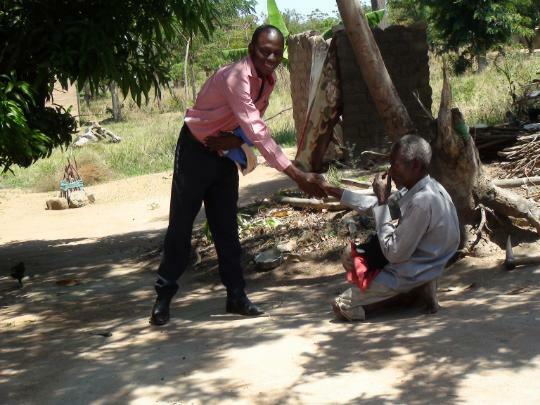 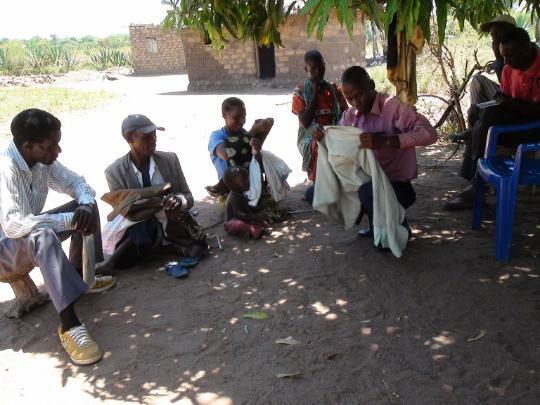 The distributed clothes was provided with the worshipers from Mennonite church, Kirumba Mwanza. 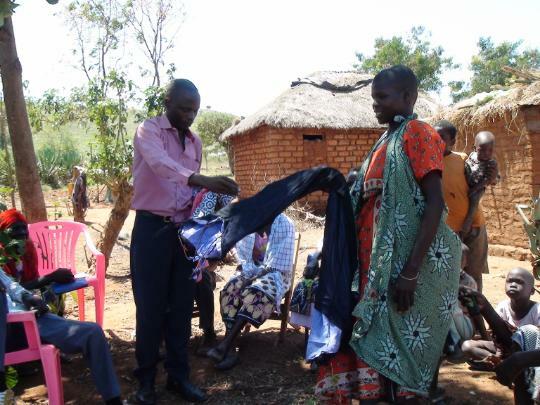 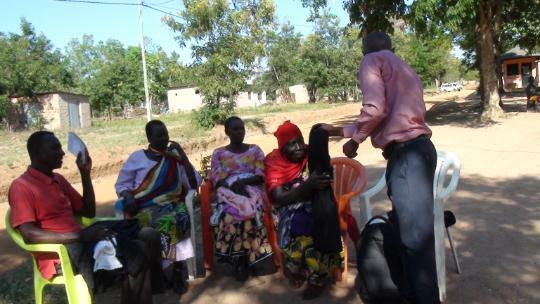 Dr. Joseph Musagasa(standing right), the TEHDSO Executive Director provides clothes for some representantives from the women group of PLHA at Nyakatende village Musoma District, Mara region.The exercise was organized in collaboration with CDR Community Development and relief.Sitting right(in red shirt) is Mr. Moris Chai Charamba, the CDR Community Development and Relief Program Coordinator and Head of training department witnessing the exercise. 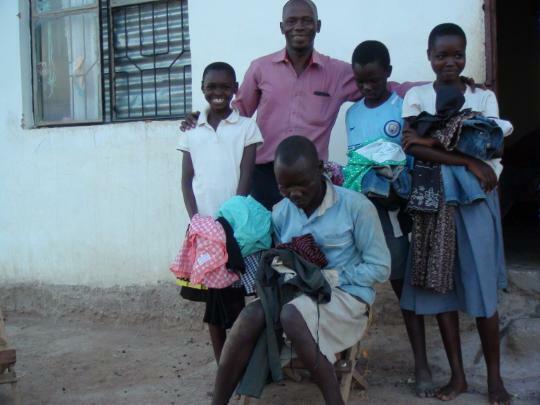 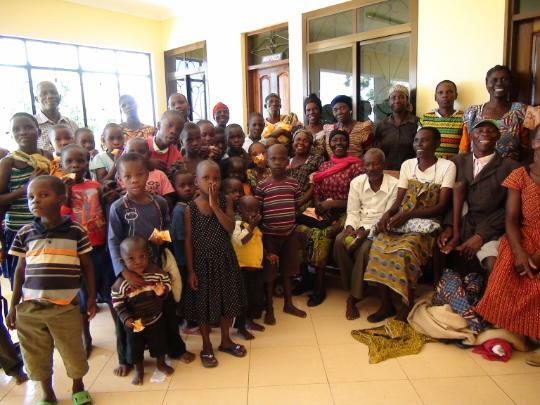 Dr. Joseph Musagasa, the TEHDSO Executive Director in a group photo after Mama France family received clothes donated by worshipers from Mennonite church, Kirumba Mwanza.